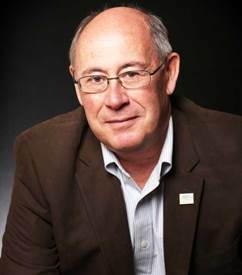 Alan R. Hammond is the founder and Managing Director of Holiday Vacation Rentals and Birchwood Property Management. He has served as a Director, Officer, and Treasurer of the Vacation Rental Managers Association (VRMA) and holds the Certificated Vacation Rental Manager (CVRM) designation. A recognized industry leader, Alan is featured in the book The Rental Game: Winning with a Professional Vacation Rental Team by Maureen Regan. He is the principal broker for Holiday Real Estate Sales. Alan has 22 years of experience in real estate sales and specializes in the sale of commercial properties, hospitality, and business opportunities. He worked formerly with the American Motel Hotel Brokers and was a Senior Sales Executive with the Select Companies (a boutique hotel development and management company), Vice President of the Coldwell Banker Schmidt Realtors hotel division, and Managing Director of the Coldwell Banker Commercial Hospitality Group. His affiliations include the National Association of Realtors (NAR), the Emmet Association of Realtors (EAR), the American Hotel & Lodging Association (AH&LA), the American Resort Developers Association (ARDA), and the Vacation Rental Managers Association (VRMA). Alan has earned commercial certification with Coldwell Banker Real Estate Corporation in Strategies for Marketing Office Properties, Strategies for Marketing Retail Properties, Commercial Strategies, and Computer Technology and Corporate Services Specialties. His successfully completed transactions include a restaurant, retail stores, multi-family apartments, development sites, and hotels. His hotel sales include independents, boutique hotels, motels, and destination resorts. His franchised hotel sales include Comfort Inn, Clarion, Days Inn, Holiday Inn, Hampton Inn, Super 8, Ramada Inn, AmericInn, and AmeriHost properties. His clients have included institutional, corporate, and private investors. As a lakefront homeowner for nearly four decades, Alan is particularly knowledgeable about the trends in lake property value and the motivations of buyers of high value homes and condominiums.